George Cremaschi works with a variety of approaches and strategies in the areas overlapping music, sound art and noise. In thirty+ years as a composer and performer he has worked with a long and diverse list of notable musicians, dancers and choreographers, filmmakers, visual artists, and writers. Some of his current projects include the groups KRK (w/Matthew Ostrowski), Rohr Rohr (w/dieb13 and Gino Robair) and Lambs Gamble (w/Fritz Welch and Eric Boros). 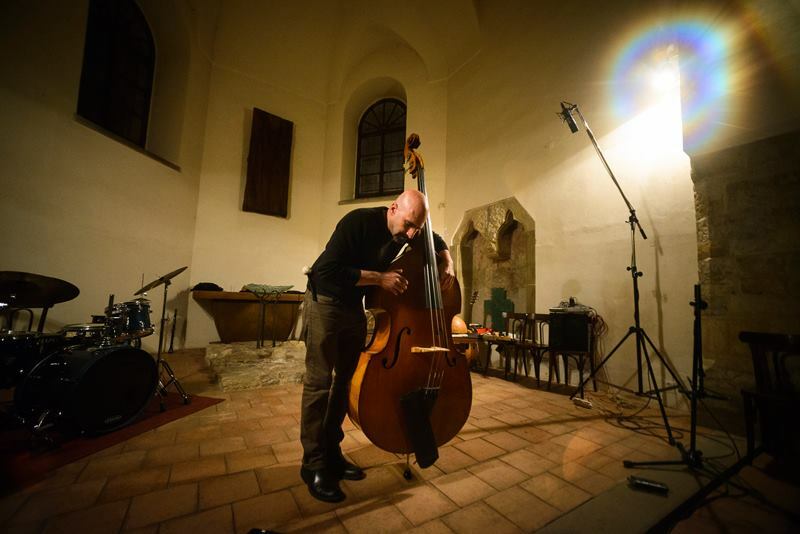 He is also the founder (w/Petr Vrba) and director of Prague Improvisation Orchestra (PIO), a 15-member group working with conducted and free improvisation and graphic scores. As an interpreter he has performed works by many composers including Milan Adamčiak, Andriessen, Ana-Maria Avram, Braxton, Cage, Cardew, Feldman, Matthew Goodheart, Mingus, Oliveros, Penderecki, Jon Raskin, Tenney, Xenakis, etc and has appeared on over 40 recordings on Apestaartje, Beak Doctor, Black Saint, Emanem, Evander, Evolving Ear, Leo, Music & Arts, Nine Winds, Rastascan and other labels. Born in New York where he studied music and composition, he later lived for many years in California and currently lives in Prague, Czech Republic where he teaches film sound at FAMU.